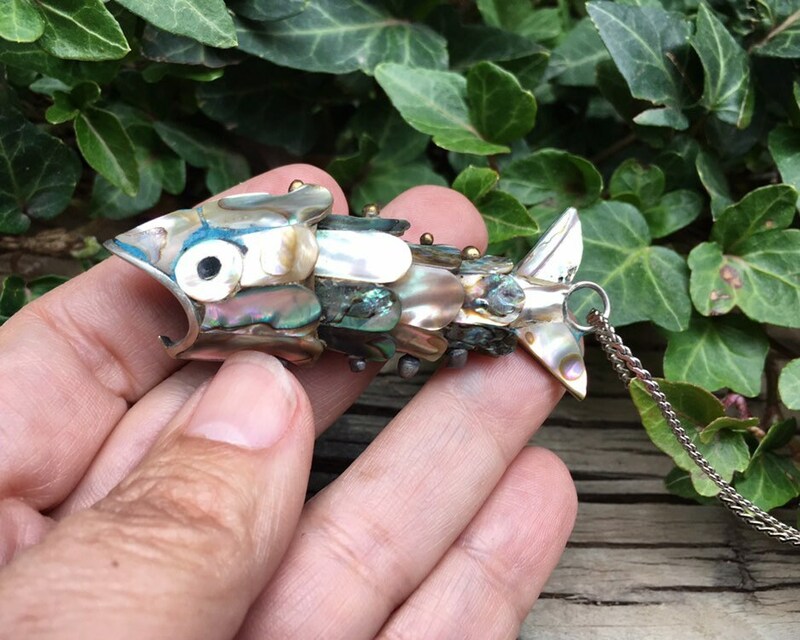 This vintage "wiggle fish" or articulated fish is absolutely charming, made with abalone inlaid onto what is likely German silver. 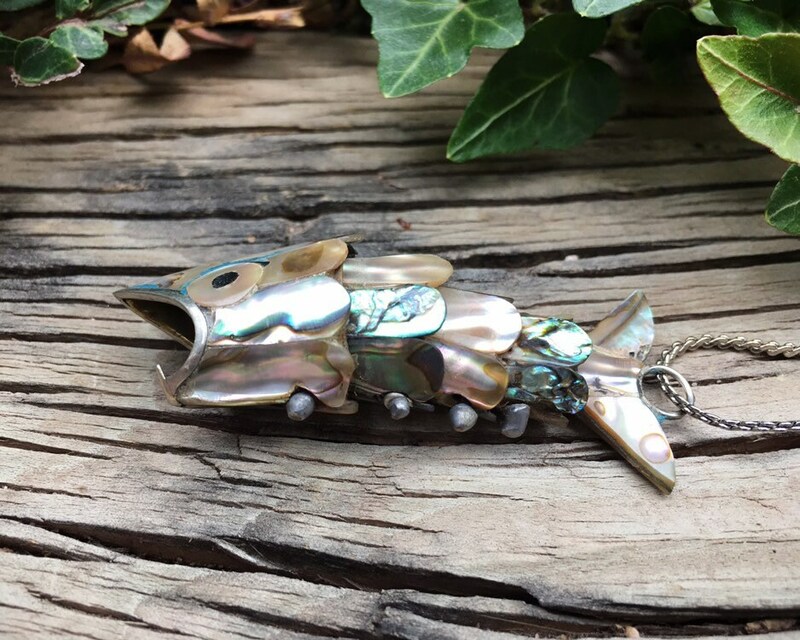 The piece has five sections with a hook eye on the tail and the chain that came with it, which is definitely not sterling. This is Mexican, which I know from the estate from which I acquired the piece. 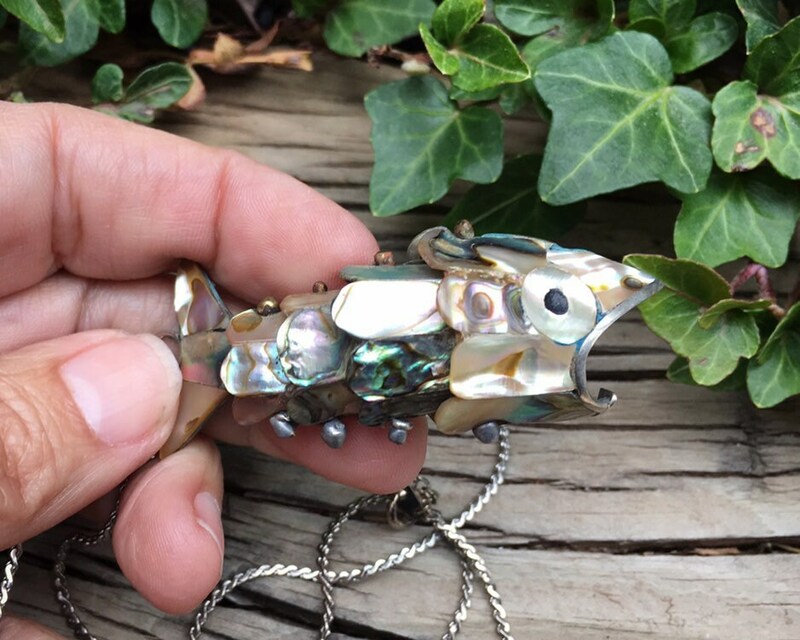 I see these quite often as bottle openers, and this does have a little mechanism on the mouth that ostensibly could open a bottle. But I would be careful as it could also break if used in that fashion. 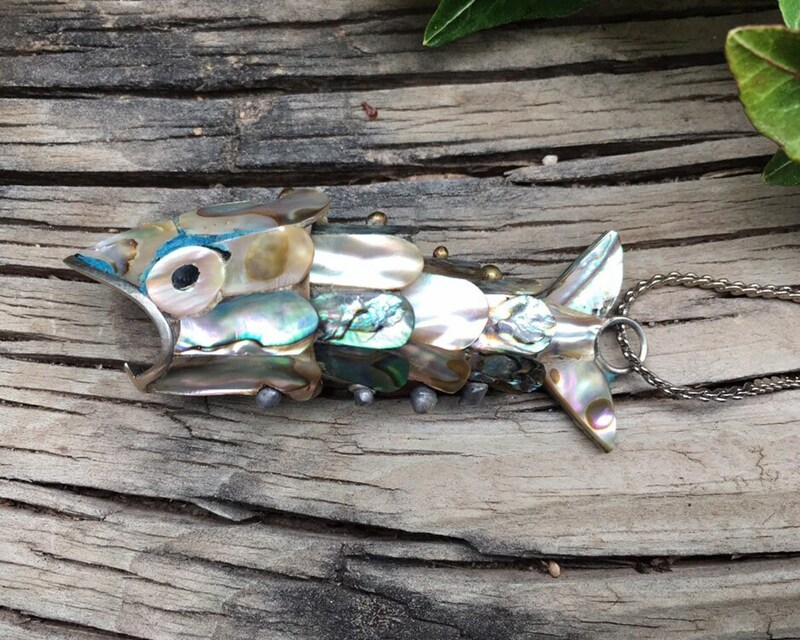 I think it's perfect as intended, with the eye hook on the tail and used as a pendant. 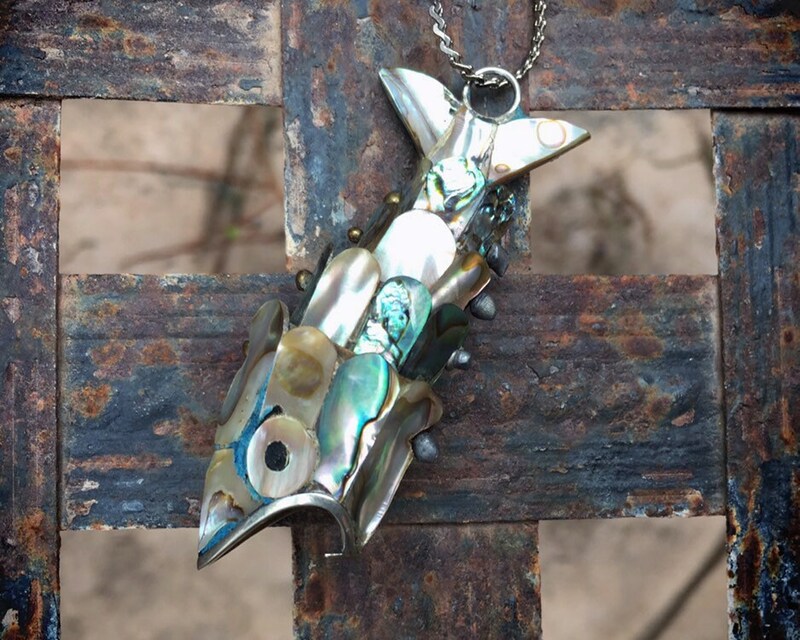 And the symbolism of fish, swimming free, transformation, connection with water and the feeling of serenity--makes it a perfect gift for anyone moving through change. This can be your wish that they make it through "swimmingly" and are able to feel that happiness and joy again. 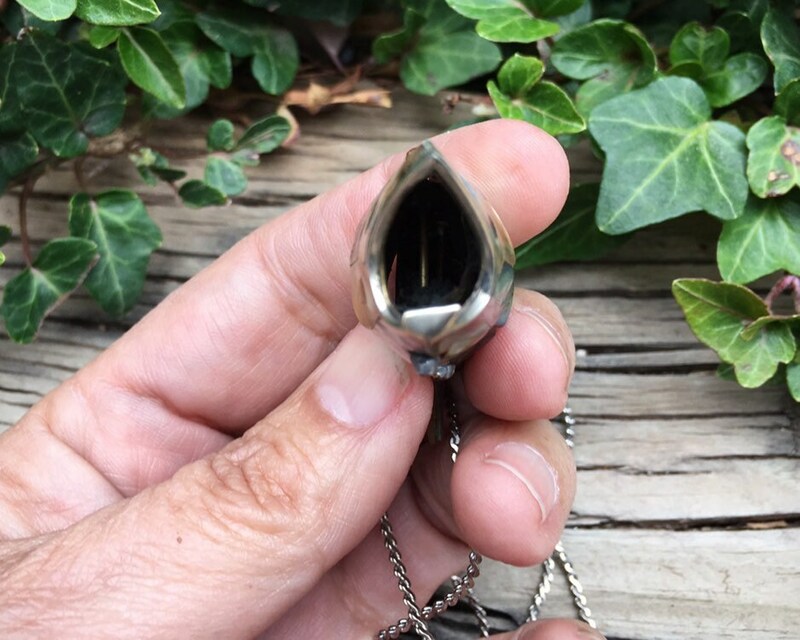 The pendant measures 2-1/2" long (slightly longer with eye hook) by 1" wide. The chain is being thrown in for free, and if you don't want it, just let me know. Great gift for the person in your life going through transformatin, even if that person is you.